TAIPEI, July 25, 2018 — FedEx Express (FedEx), a subsidiary of FedEx Corp. (NYSE: FDX) and one of the world's largest express transportation company, is enhancing its services into and out of the Vietnamese capital, Hanoi, with the introduction of a new flight connecting the city to the FedEx Asia Pacific Hub in Guangzhou, China. This new route will significantly improve transit times for all inbound flights to Hanoi, and enable next-business-day delivery within Asia, including Taiwan, for the first time. This new route will use a dedicated B757 freighter flying four times a week to and from Hanoi. Vietnam exporters shipping from Hanoi will benefit from the best transit time for shipments to major business centers in Asia, including China, Taiwan, Singapore, Malaysia and the Philippines, in just one business day. Shipments to Europe and North America will arrive in two business days. For all shipments to Hanoi, transit times are reduced by one business day. Shipments from Europe will reach Hanoi in two business days, and shipments from North America arriving in three business days. In 2017, the total value of exports from Taiwan to Vietnam has achieved new heights at US$10.5 billion, and has reached US$5.2 billion in the first six months of this year. The new route will facilitate the growing exports in Taiwan as local exporters and importers benefit from more frequent and faster access between the two markets – inbound shipments from Hanoi to Taiwan can now arrive in one business day, whereas outbound shipments from Taiwan to Hanoi will be reduced by one business day. To meet the dynamic market needs, FedEx continually adjusts its network and routings in Asia Pacific. 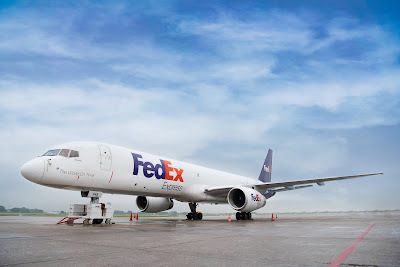 In April, FedEx announced a new route connecting the FedEx Asia Pacific Hub in Guangzhou and the FedEx World Hub in Memphis. In January, FedEx officially opened its Shanghai International Express and Cargo Hub, the second international hub in China. Priliminary Statistics of Customs Import and Export in June, 2018 – appendix 12: The Total Value of Export and YOY of 18 New Southbound Countries.